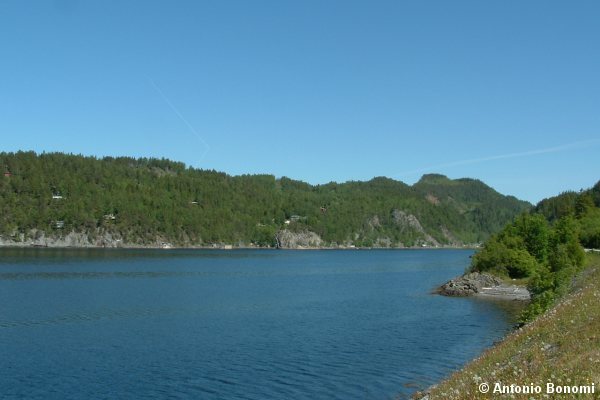 Here is the second Fjord I would like to introduce to you, it is the very big Trondheim fjord (in German is written as Drontheim). 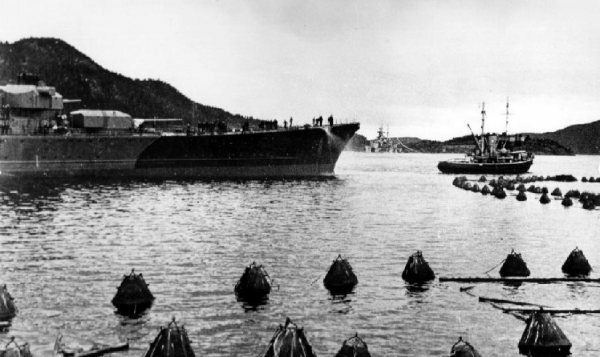 Trondheim is a big Norwegian city, the Kriegsmarine used it many times and established here a very big naval base in LoFjord (east of Trondheim at the end of the AasenFjord ). 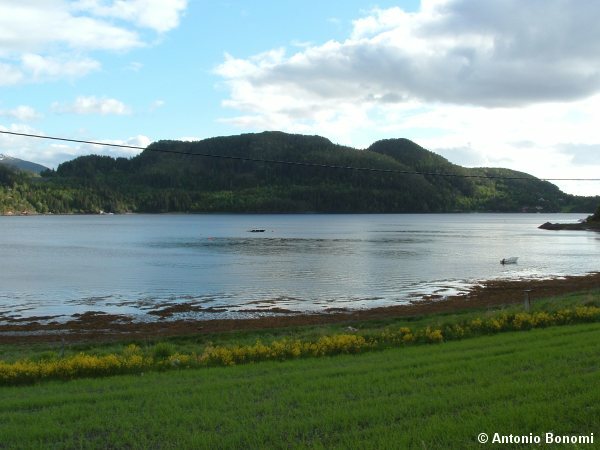 South of LoFjord, still on AasenFjord is the famous FaettenFjord where Tirpitz was anchored for a long time in 1942 and 1943. 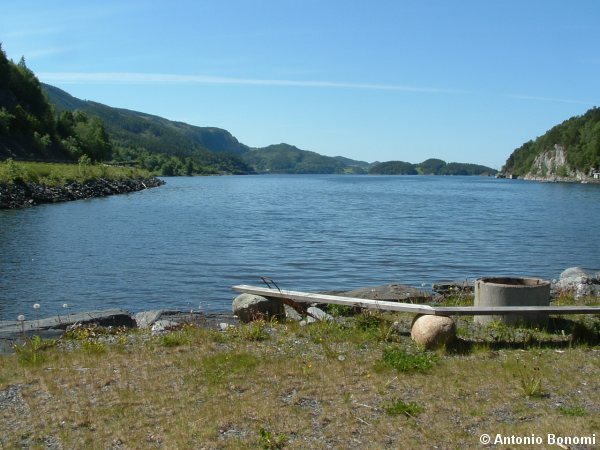 Interesting to be noticed at the exit of FaettenFjord is the island of Saltoya (renamed by the Germans as TIPITO) where Tirpitz crew was having some relax time. 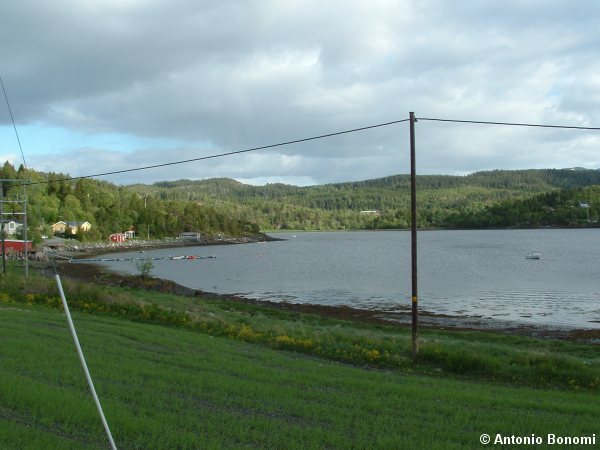 click on Trondheim ans then zoom down ( - ) till you see the peninsula of Frosta north-east of Trondheim. 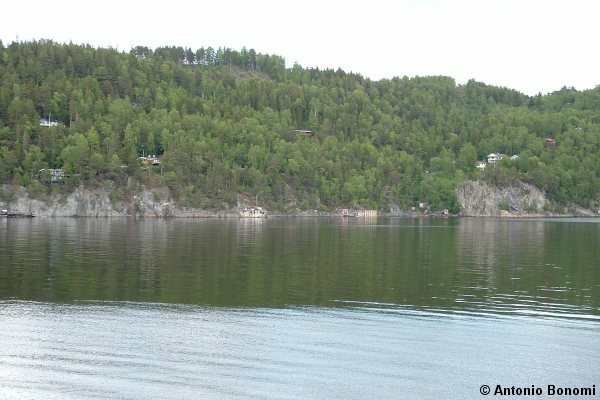 South-east of Frosta is the LoFjord, and south of it the FaettenFjord. with these references it should be easier now to follow the Tirpitz war diary in translation by Ulrich . 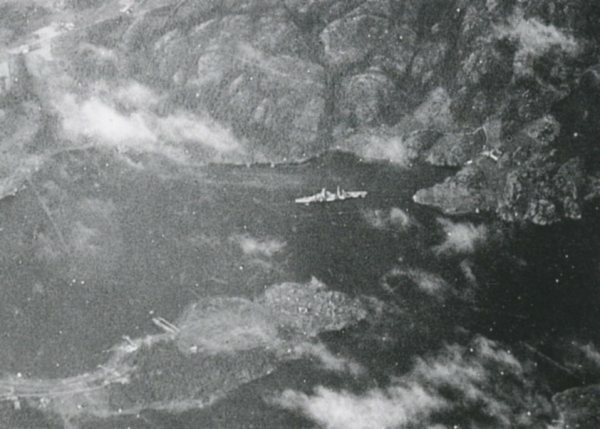 Here is a very famous photo of the German warship task force that entered Trondheim during the Norway invasion (Operation Weserubung) on April 1940. 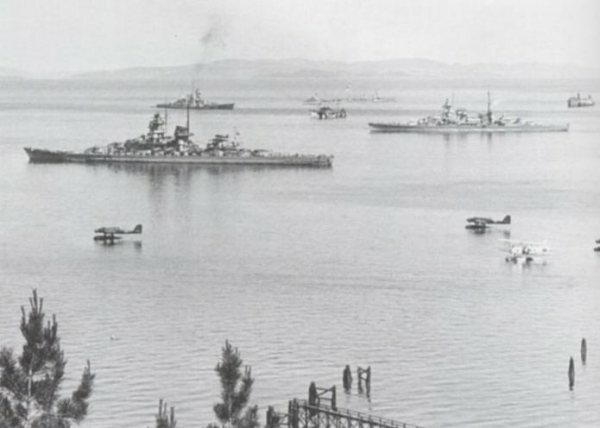 Just in the main Trondheim Fjord area, in front of the city were anchored the Gneisenau (on the center left) the Admiral Hipper (on the right) and the Scharnhorst (on the background after Gneisenau mainmast ). 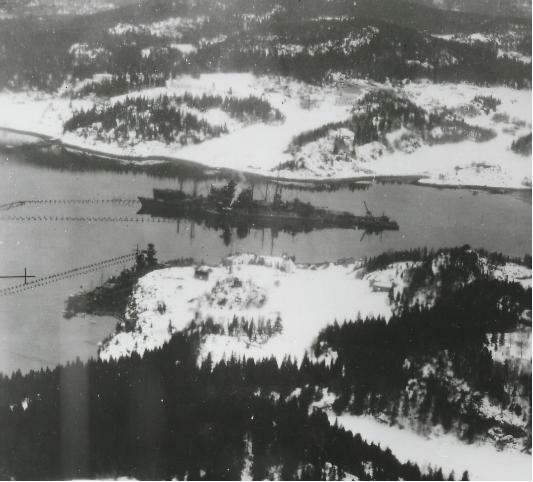 But the real big ship ever to come to Trondheim was surely the Tirpitz, here you can see her after her arrival on February 1942 at FaettenFjord anchorage. 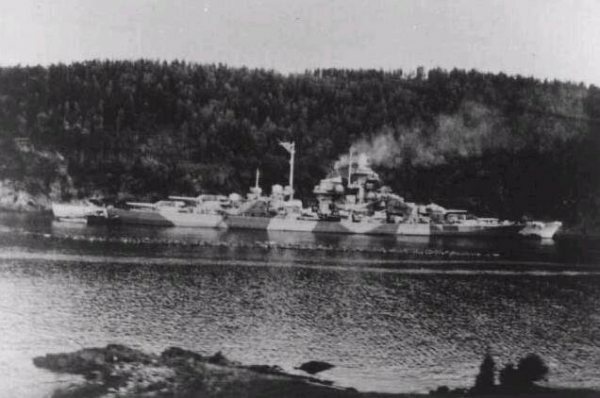 and you should be able now to see the canvas covers on the Tirpitz main turrets like in Narvik. 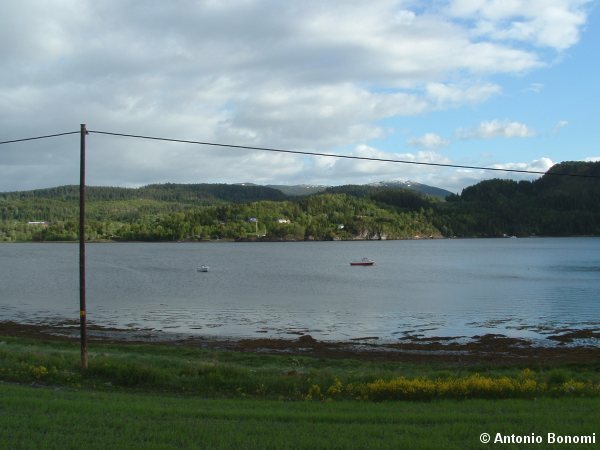 Here are the photos of the LoFjord anchorages for you to enjoy. 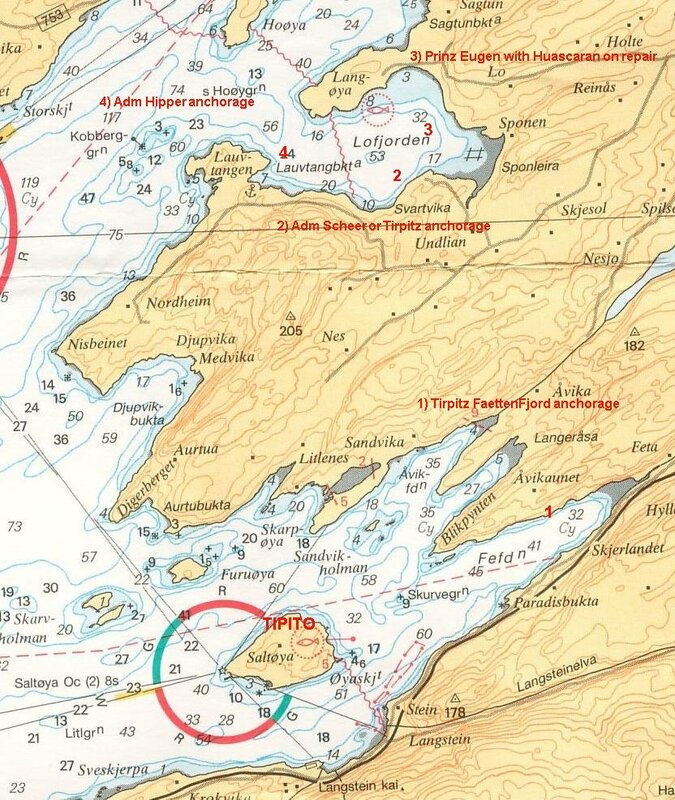 So when on books you read anchored in Trondheim, it s a very generic statement as ships were anchored in front of the city, or into the AasenFjord area, either on FaettenFjord (only for Tirpitz) or into the LoFjord which was the real naval base for permanent anchorages. 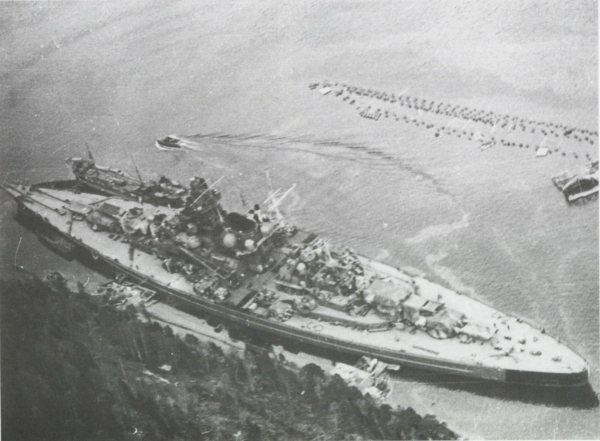 Lets see the LoFjord ones, here is the Prinz Eugen (background with the repair ship Huascaran alongside for repair) after being torpedoed and still with the broken stern in LoFjord (anchorage position 3). 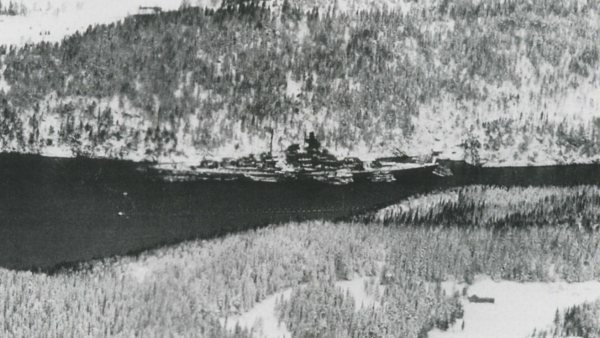 On the anchorage position 2 you can see the Admiral Scheer that was with Prinz Eugen on the Norway transfer mission, codename Operation Sportpalast. 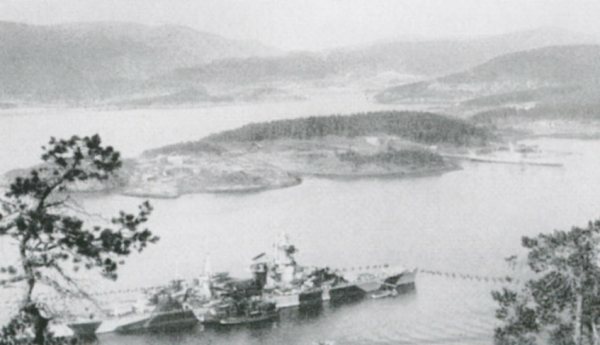 You should have noticed the Langoya peninsula with other light ships anchored there, in center again the Admiral Hipper. 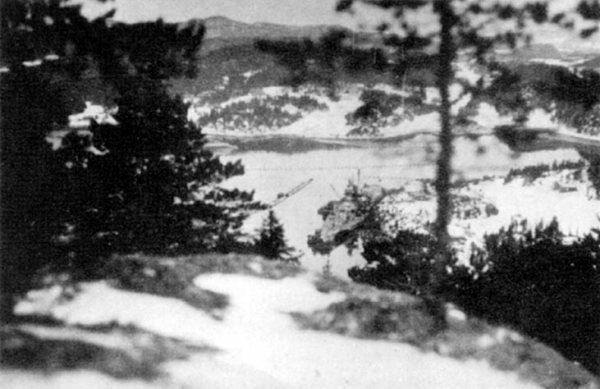 and the same position 4 now seen from Prinz Eugen position 3 that do provide a different perspective of the LoFjord, you can see the Admiral Hipper on his place just ahead of Prinz Eugen bow.